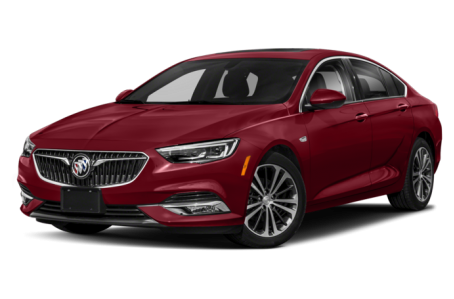 The 2019 Buick Regal Sportback is a mid-size car that offers slightly more utility than the standard four-door sedan. The sportback is sold alongside the Regal TourX wagon. Six trims are available: Base, Preferred, Preferred II, Essence, Avenir, and GS. Under the hood, the Regal Sportback is powered by a standard 250-hp, turbocharged 2.0-liter four-cylinder engine mated to a nine-speed automatic transmission and front-wheel drive. An eight-speed automatic and all-wheel drive (AWD) is also available. The GS trim comes with a more powerful 310-hp, 3.6-liter V-6 that produces 282 pounds-feet of torque. It is joined to a nine-speed automatic and AWD.